China's largest classified online marketplace 58.com Inc said on Friday it will invest 1.068 billion yuan (around US$164.2 million) for a minority stake of 8.28 percent in China's leading property brokerage company 5i5j. The deal is the recent development of China's increasingly fierce competition and marks a reshuffle in the property service sector, industry insider says. Earlier this month, the NYSE-listed 58.com Inc formed an alliance with several industry partners, including 5i5j and Centaline Property, to compete with leading home agent company Lianjia, whose newly-introduced online platform threatens to squeeze 58.com's share of online real estate listings and propel itself further ahead of other property brokers. 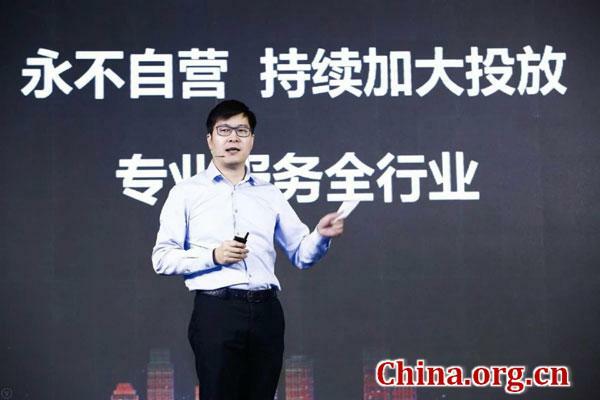 Yao Jinbo, CEO of 58.com, said the two companies enjoy complementary advantages in the real estate service industrial chain. "As China's largest real estate service platform, 58.com will continue to provide service for brokerage companies and home agents and help increase their efficiency," he said. Known as China's Craigslist, 58.com provides classifieds platforms in diverse categories. Its real estate section, which accounts for a major source of revenue, provides property listings for potential home buyers and renters and also enables developers and home agents to market their properties online. The company now serves 50,000 property brokerage firms and almost 90 percent of brokers (over 1.3 million) across the country. In addition, over 30 million users search for home listings on its site, according to the company reports. 5i5j will continue to operate independently, according to the bilateral deal. 58.com says it will also team up with other investors in a five billion yuan fund to invest in promising brokers, high-tech firms and other housing market service providers. 58.com Inc announced on Friday it will invest over a billion yuan to acquire stake in major Chinese real estate broker 5i5j.